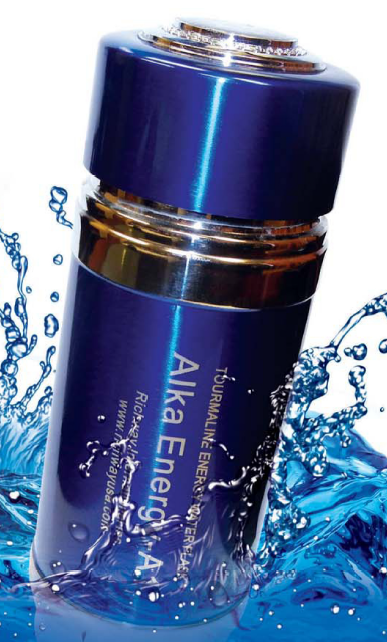 The Alka Energy A1 is a portable water alkaline pH enhancer. 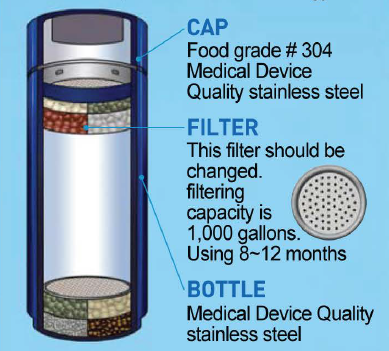 It increases the pH level and filters your drinking water. The negative potential produced by the Alka Energy-A1 (via microelectrolysis) is able to clear out the excessive free radicals within the human body, enhance its oxidation resistance, and delay the aging process. 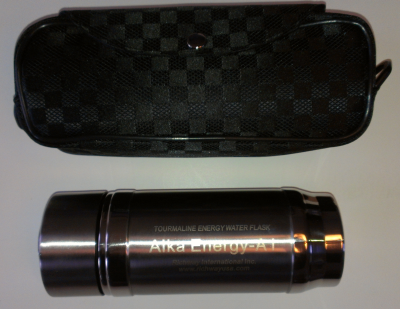 Alka Energy-A1, filters your water and uses natural elements to increase the pH levels of your water. Zeolites can absorb and retain heavy metals and toxins. Tourmaline helps to clean, mineralize, and ionize the water. Pour regular water into the Portable Alkaline lonizer (Aika Energy-A 1 Flask), and let stand for 5-10 minutes. Using 13 unique minerals including far infrared and negative ion energy stones with maifanite, green jade, tourmaline, zeolites, magnesium and kaolin.